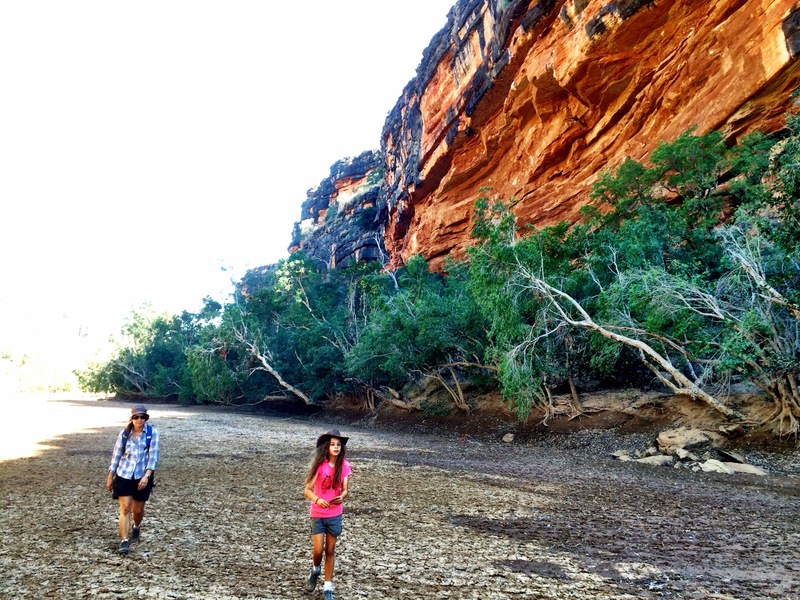 The Bungle Bungles are a special place. Breathtaking. But it’s time for us to pack up and keep heading west. As we keep moving through the Kimberley’s, this part is a lot flatter. We drive through Hall’s Creek. People have told/warned us about this town. The police station is very big here. 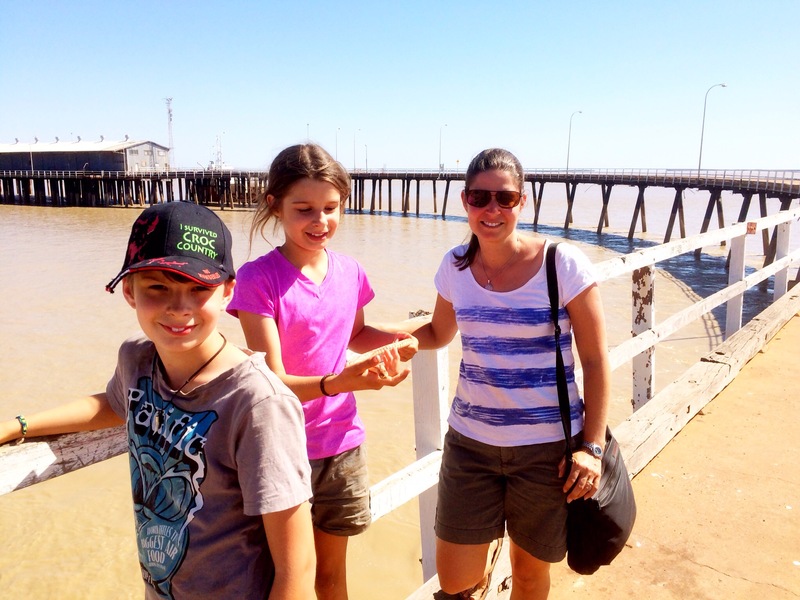 We drive through and make it to Larrawa Station. 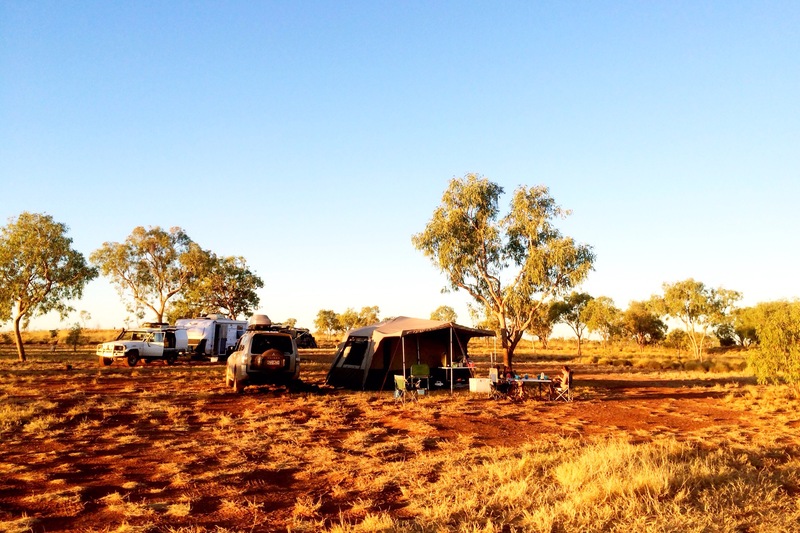 After the Bungle Bungles we enjoy the amenities of a shower, bins and drinkable water. 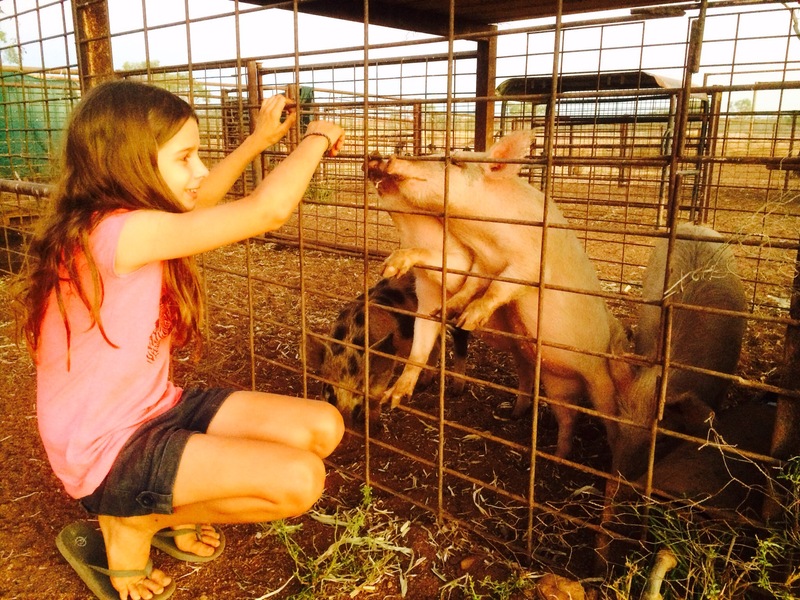 Out the back the station has animals and the kids have fun with the sheep, chickens and pigs. In the morning it’s another packup as we keep heading west. As we drive along we figure it out that it’s about 1000km from Kununurra to Broome. That’s Brisbane to Sydney. And there’s really onto 2 towns in between – Hall’s Creek and Fitzroy Crossing which we’ll get to later today. 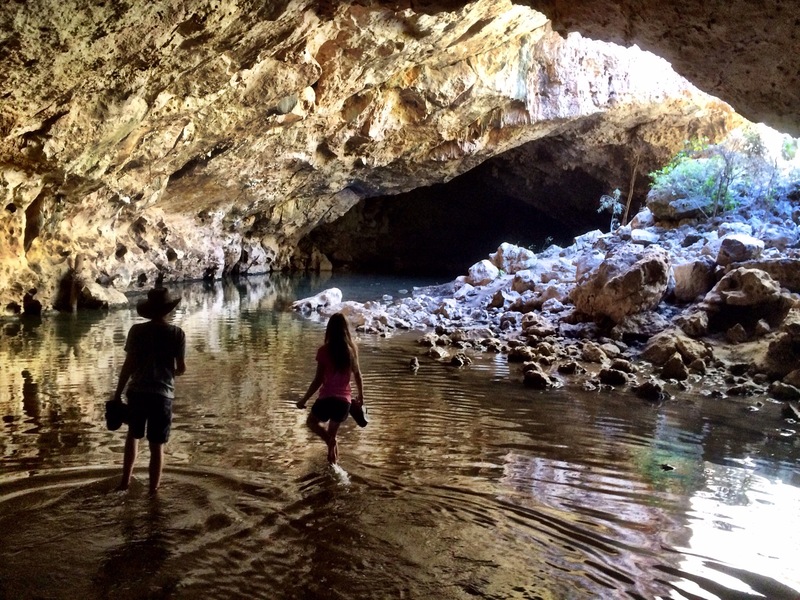 In the afternoon we make it to Tunnel Creek National Park. And here we learn about the aboriginal outlaw Jandimarra. It was in Tunnel Creek that he hid from police during his time of being on the run. Holding our torches we walk ankle to knee deep through the water and we spot a couple of freshwater crocodiles lurking on the edges. It’s about midday and its scorching outside so the air-con of the cave is a welcome relief. 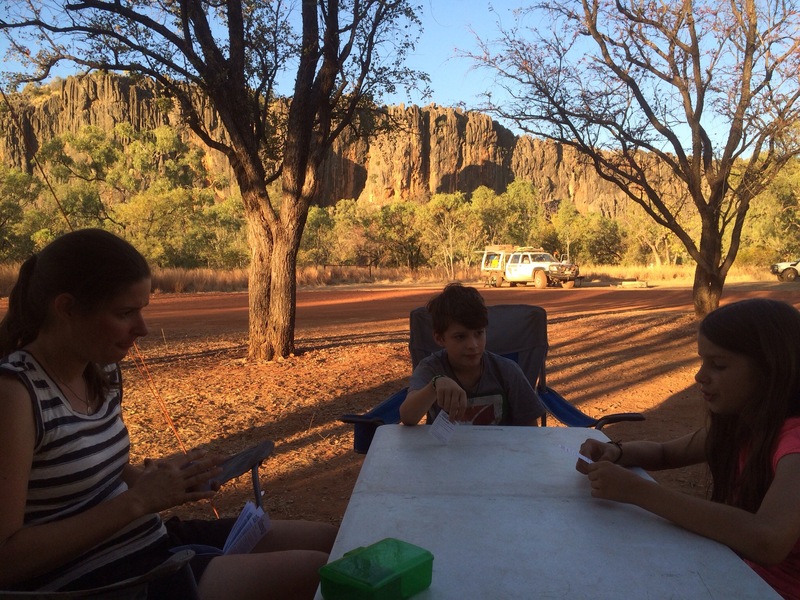 And then it’s back in the car to get to our destination for a couple of nights, Windjana Gorge National Park. When we arrive we feel really relaxed. We think it’s the thought that for the rest of today and tomorrow we don’t have to get in our car to go anywhere. This is us playing Phase 10 before dinner. 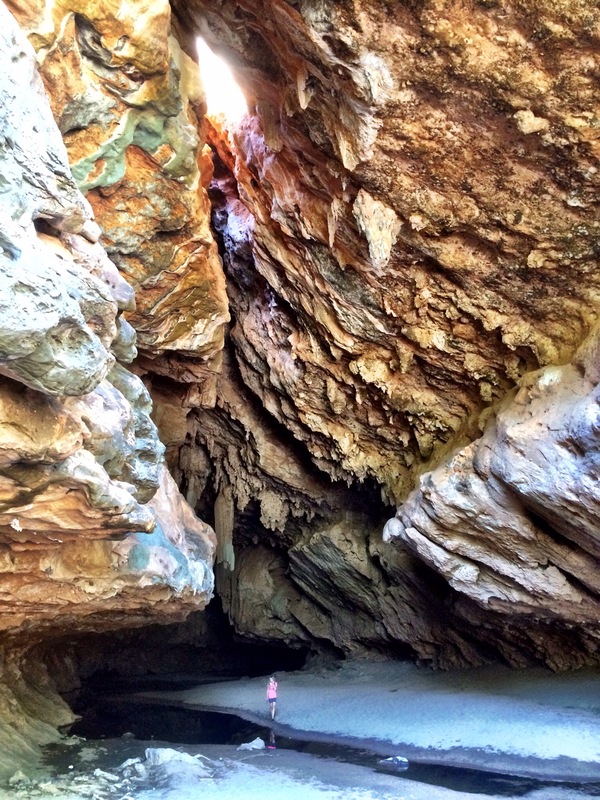 For the next day we walk up the gorge. 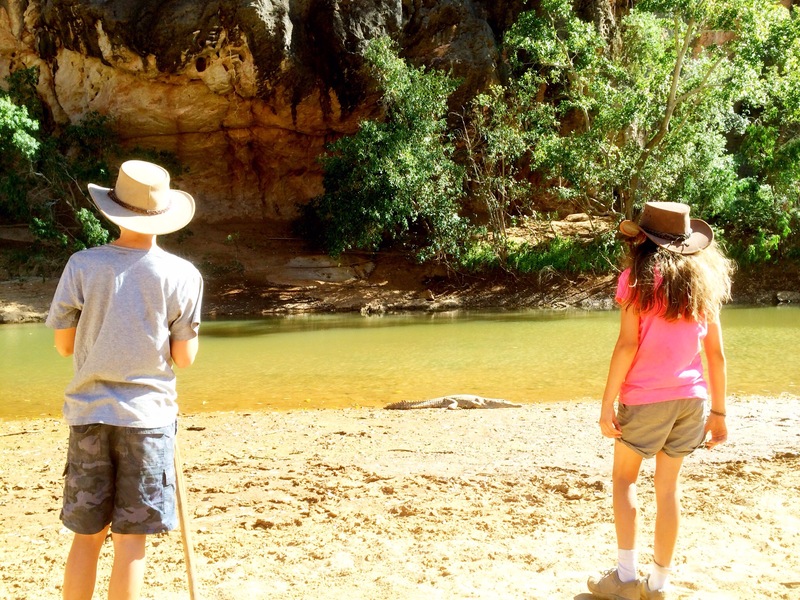 It’s a hot morning to walk the 6km up and back the mostly dry sandy creek bed (the kids are happy to finally turn back) but there are two things that make it a great walk – the massive limestone walls on either side, and the many freshwater crocs lazing in the pools of water. 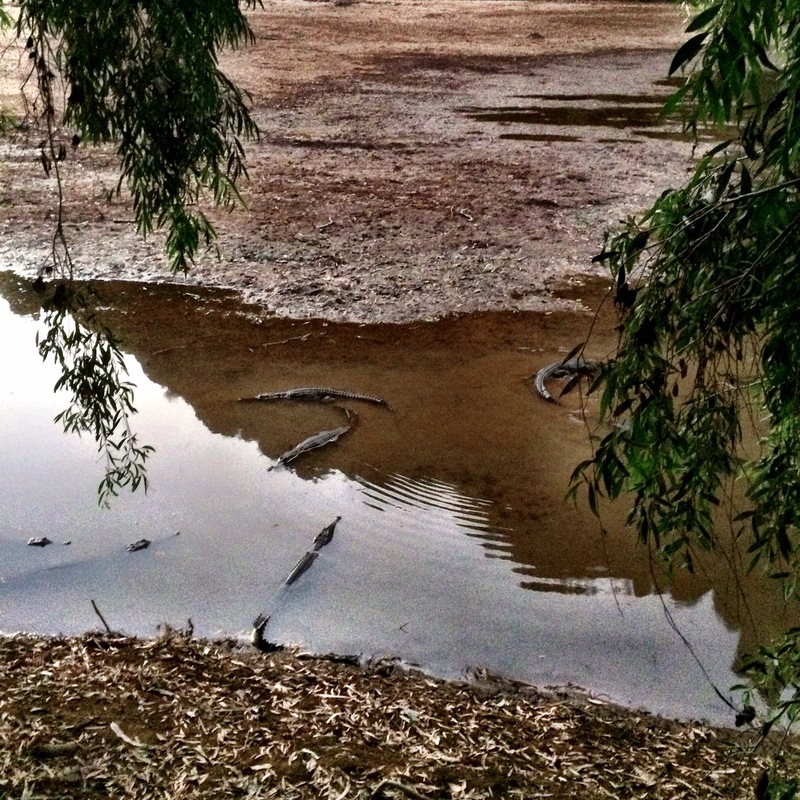 We wonder, what is the collective noun for a group of crocs? The best we could come up with is, a ‘smile’ or a ‘snap’. 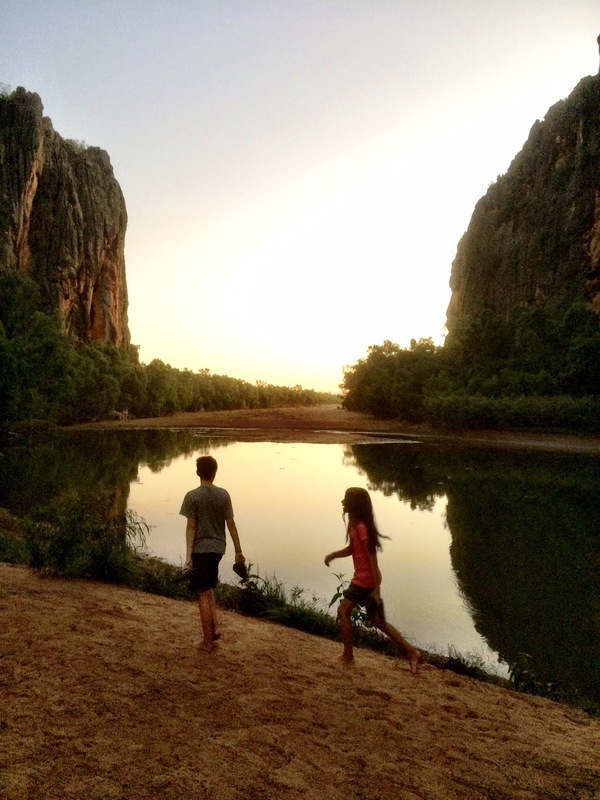 Today we pack up from Windjana but not before one final walk down to the gorge to watch the crocs. They fascinate us. And now we make tracks towards the WA coast. For lunch we get to Derbey. We have a Woolies chook and chips by the Derbey jetty which in its hey day was used for the loading of cattle, but these days it is not used for much. Derby has the highest tide in Australia (11.8m) and the fast rushing water under the jetty is impressive. And we also check out the old Boab Goal Tree which was used for holding prisoners. 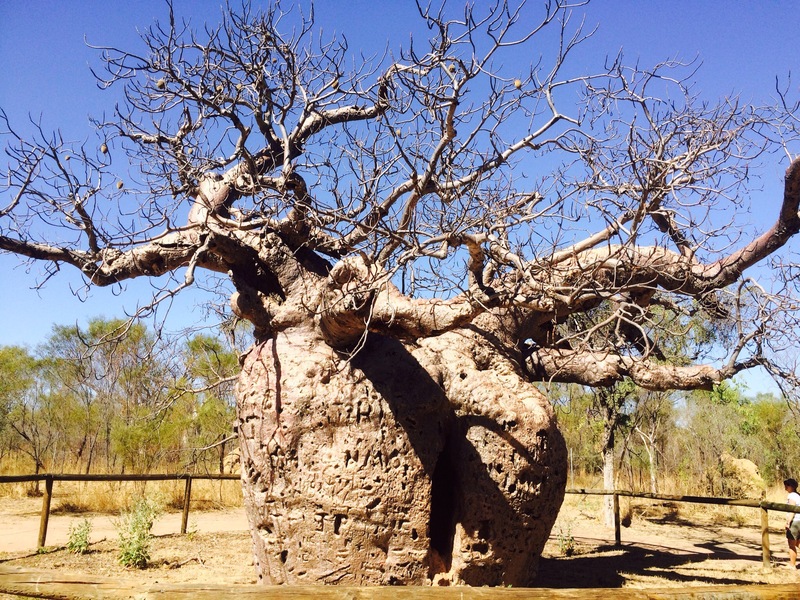 At the Boab tree is this the photo below. 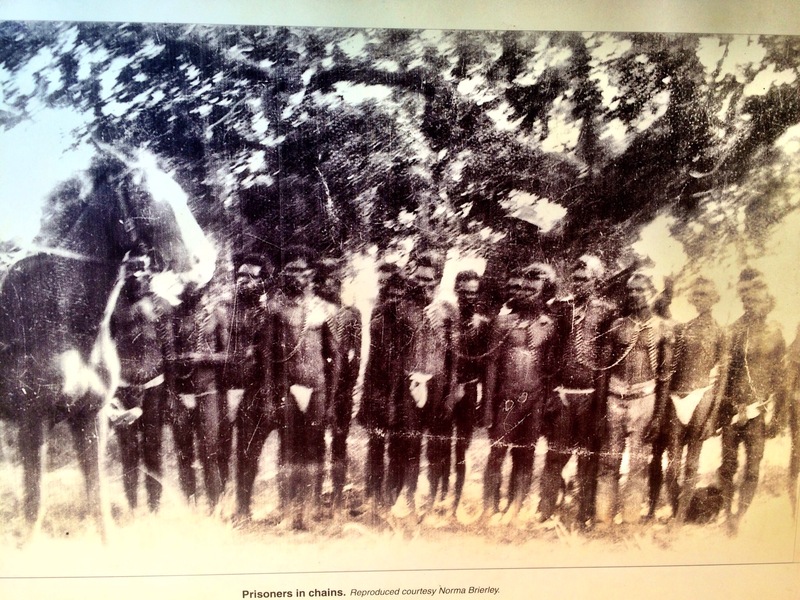 In northern Australia we’ve seen these sort of photos a few times – aboriginals in shackles around their necks. I’m glad we don’t try to hide away this part of Australian history but it is shocking to see. At the Boab tree we learn about the ‘blackbirders’, those early settlers who would kidnap aboriginal young men and transport them towards Broome to be used in the pearling industry. After Derby there’s not much to look at on the road as we push into Broome. We’ve decided to take the option of camping out the back of the Seventh Day Adventist Church. They give cheap ($20 a night) accomodation and as an added bonus they provide mango trees for the kids to climb in. We’ll only spend 1 night in Broome this time but we’ll be back here later when we’ll properly check on the town. Hey thanks for the tip Rosalie and Simon. 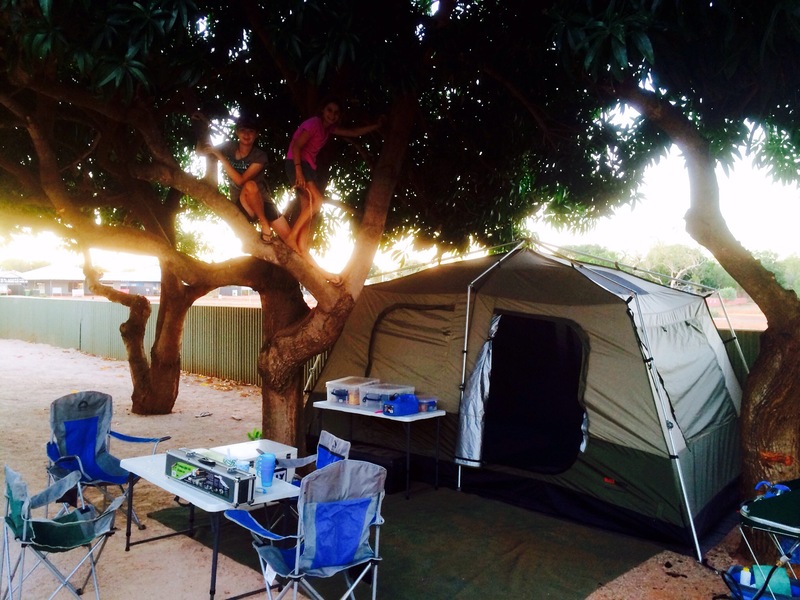 We like your name here too – Our Home is a Tent! Sorry I don’t know why my comment posted twice! Our home is a tent was an appropriate name when we left – not so much now! I’m about 18 months behind on my updates, too… hopefully in another year or so we’ll be back on the road to continue our travels and see where we end up next! We hope you’re doing well with the pregnancy! Hello to you all. I have really enjoyed reading all about your wonderful holiday together. You all look very happy and relaxed. The scenery looks magnificent. Thanks Paul and Sharon. Glad you’re enjoying the record of our travels. Hoe all the family is well. Thanks Deb. Woke up this morning and Kirsty commented that the beard has entered into a new phase of shagginess. Perhaps there’s a life-cycle diagram of a beard out there somewhere.